Stockholm - December 13, 2016 - Minimalist design meets customer convenience in the new release of VingCard Essence, known as the world's first invisible lock. Now compatible with ASSA ABLOY Hospitality Mobile Access, VingCard Essence means guests can skip the front desk and unlock their room using their own smartphone or watch. It also means that hoteliers can create a homier, design-centric feel in their hallways and room interiors, without compromising on security. 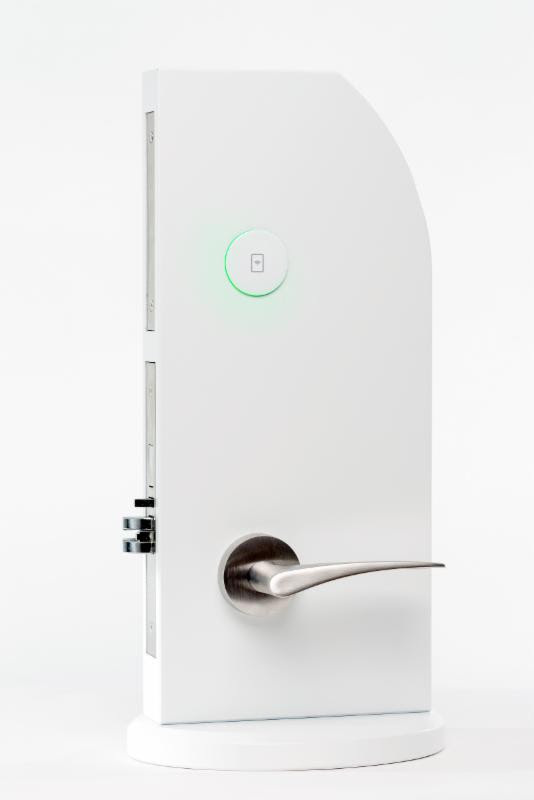 Now, the industry's most uniquely beautiful and functional locking system is even smarter, with improved reading distance on the RFID reader, and wireless online capabilities. The product also benefits from compatibility with ASSA ABLOY Hospitality Mobile Access, powered by secure Seos technology, a revolutionary solution which allows guests to take control of their hotel experience, using their smartphone or watch. This industry-leading innovation from ASSA ABLOY Hospitality enhances customer satisfaction, frees up front desk staff and saves on operational costs. "VingCard Essence offers a seamless experience for guests, from their ability to enter and secure their room without interaction with the front desk, to the enhanced aesthetics of their hotel environment," said Christophe Sut, Executive Vice President and Head of the Global Technologies business unit for ASSA ABLOY Hospitality. For more information, please visit www.assaabloyhospitality.com/essence. Find out about getting exposure here - see the Footer menu below.